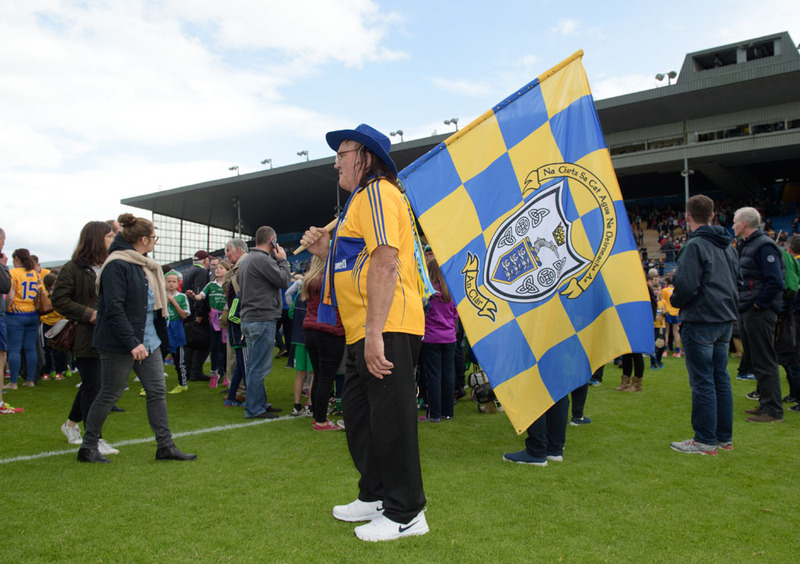 Clare fan John Joe Costelloe on the pitch with his trademark flag following their Munster Championship semi-final against Limerick at Thurles. Photograph by John Kelly. 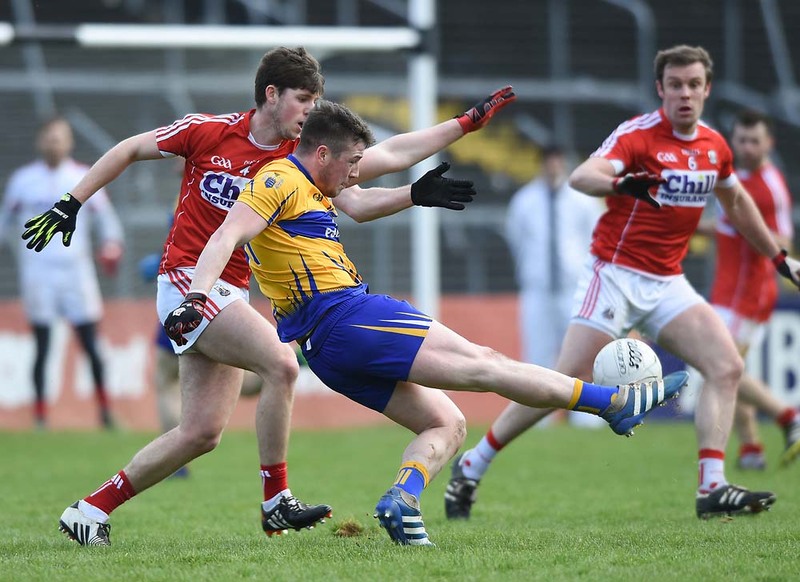 TICKET-mania has gripped the county ahead of what is a huge week for Clare GAA, when four teams will be trying to progress in their respective championships. The minor and senior hurlers face Cork in Thurles on Sunday, the senior footballers host Mayo in round 3A of the qualifiers on Saturday while, on Wednesday evening next, the U-21 hurlers will play Limerick in the Munster championship semi-final. The Munster Hurling Championship has always had a special appeal and on Sunday, Clare will contest both the minor and senior finals on the same day for only the fourth time ever. Clare won the minor title in 1981, when captain by John Lynch from Sixmilebridge, but suffered defeat in the senior final. Clare lost to Tipperary in the 1997 Munster minor final but won the senior crown the same day. Less than two months later, both teams were crowned All-Ireland champions. 1997 was the first year of the back-door system. Clare lost the minor final of 1998 to Cork but won the senior title, after a replay, against Waterford. Both minor and senior teams suffered defeat in the 1999 provincial finals. Clare last won the provincial senior title in 1998, while the minors last won in 2010. The scramble for tickets for Sunday’s double header has been intense, with stand tickets at a premium. Many clubs have failed to have demand for stand tickets met. The games will throw-in at 2pm (minor) and 4pm (senior) and whatever the outcome, both teams will remain in championship action. The beaten sides will have All-Ireland quarter-final games two weeks later, whereas the winners will go on to play in the semi-finals in early August. One of the highlights for Clare GAA supporters over the last three years has been the progress made by the senior footballers. They have jumped from Division 4 to Division 2 in the league while, last year, the team enjoyed a great run in the qualifiers. 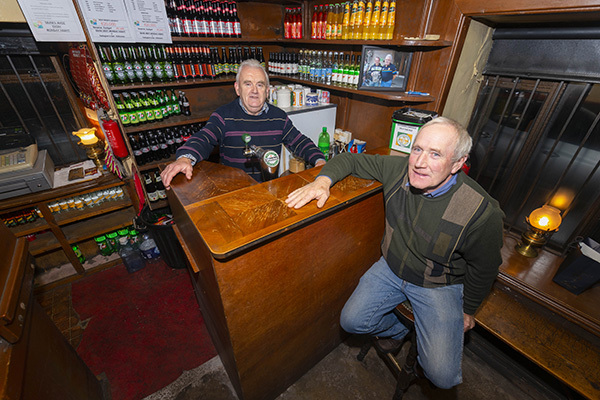 They went all the way to the All-Ireland quarter-final, where they went out to Kerry. A 10-point win over Laois at O’Moore Park last Saturday has earned them a home clash on Saturday with Mayo. Such is the interest in this tie and the capacity of Cusack Park, that GAA authorities have made it an all-ticket game. The game will throw-in at 5pm and will be televised live on RTÉ. On Wednesday evening next, The Gaelic Grounds in Limerick will host the Munster U-21 Hurling Championship semi-final, where Clare will face Limerick at 7.30pm. There is a big scramble in Clare ahead of the Munster hurling meeting of Clare and Cork in Thurles on Sunday.